I had the hardest time deciding between the burgundy and the camel. Both colors are beautiful. Ultimately, I decided to go with the burgundy. 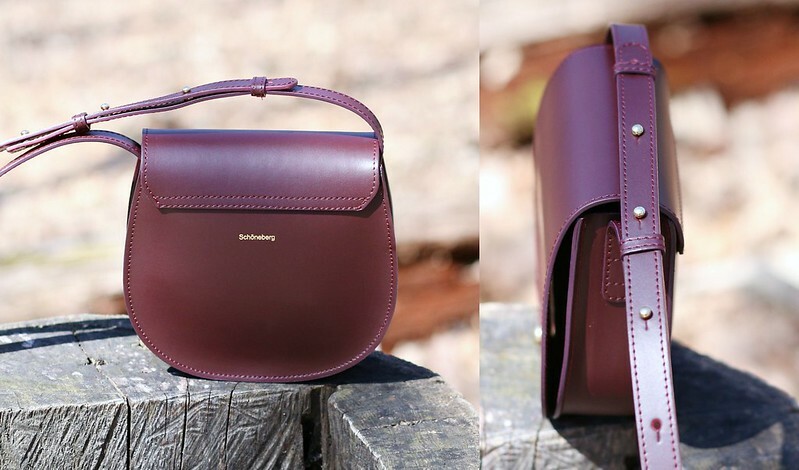 A burgundy bag is perfect for all seasons and will definitely work year round. If you've been following my handbag reviews, you know I love classic designs without bells and whistles. I love the clean lines of this bag. This particular bag is made with full grain Tuscan leather. It looks and feels so luxurious. The bag is very light and small but can hold all my daily essentials. The adjustable shoulder strap lets you find the perfect length for your style (which I appreciate). What I love most about this particular style is the unique closure. This bag truly is a classic silhouette with a modern twist. It wore it out a few times and got so many compliments. 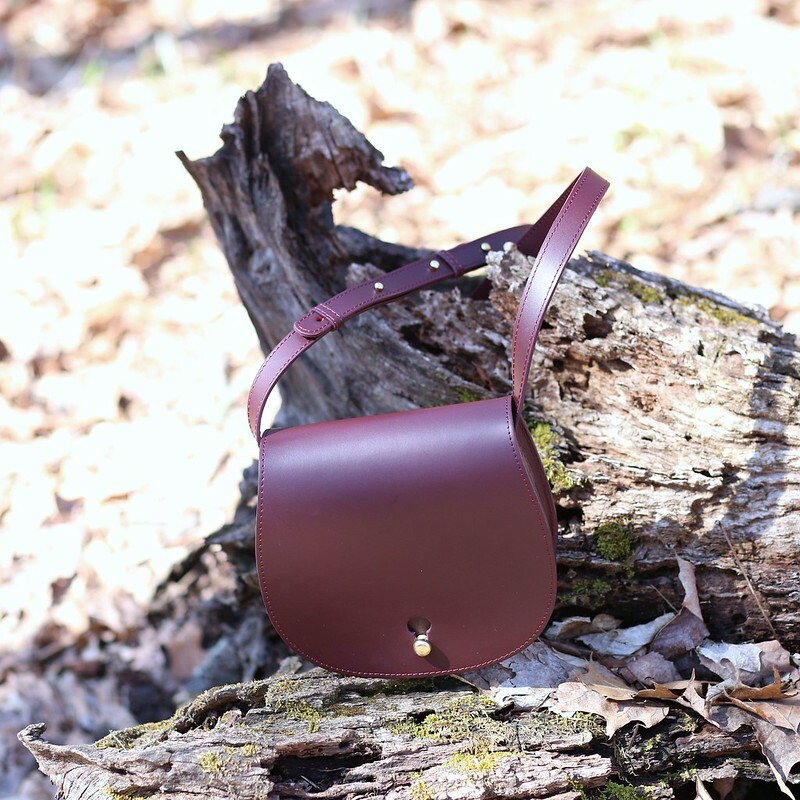 The bag is available in burgundy, camel and navy.